Technology won’t stop growing fast and out of control. Just a couple of years ago, we all wanted a Led TV, but now we have curved TVs, Smart TVs, and whatnot. The biggest trend right now is: smart speakers with voice interface. In other words: give orders and making questions using only your voice so the speaker can answer to them. Many speculate (we included) that this is the future of user experience. This future is entirely hands-free, and to be commanded it only needs a “I need milk” for a carton to appear in our front door minutes later. Mainly because, no matter how much we have advanced our tech, we still haven’t moved on from digital. In almost every futuristic movie there is an element of voice interface (arguably, C3-PO and R2D2 could be very advanced Amazon Echoes). But why? But why ae we so obsessed with the spoken commands? Number one, talking is so much easier that typing. Immediacy in this day and age is essential, voice is quick, clear and simple. Number two, it’s an amazingly helpful tool for the disabled. Using smart speakers can quickly become a routine because of how natural it is. Number three, as we said, it’s hands-free, and this is the motto of many applications in the future; from turning on music or changing the TV channel at home to moving an industrial robot through a dangerous field. Number four, it feels great to do it and it’s amazing, and we can all agree we need more “amaze” in our lives. The simple act of saying “Siri, make me an appointment” and getting it done makes us all feel like royalty. And the aspirational feel is always great for tech. Why aren’t we already in the future, then? All new tech is prone to mistakes, even though this particular tech has been on R&D for more than 10 years, it is still too early to integrate it to every part of our lives. It’s limitations are not only many, but they can be very public. One of its limitations is that it can’t do overly complicated chores very easily. For example, if you want to assemble something and you get the instructions from a web site, the speaker can read you the instructions, but if you misheard something, there is no way to go back without having to listen to the whole thing all over again. It lacks precision, and this is what users face the most with voice command, many times the commands don’t work as intended due to our accent or pronunciation. The last thing we want is to be standing in front of the speaker yelling “COOKIES!” while the assistant Google “lookies” for the eleventh time. In public it would be a disaster if we all used voice commands for everything, and that’s why it has found success in private places like our cars, homes, TV rooms and others. Simply put, environment sounds would make it difficult for the machine to understand our voice commands, and that is ignoring the people around us who won’t find it amusing to listen to you shout at your phone. If there is something important for digital marketing its Search. We are all hoping to be on top of Google results, but what if this is a new way of searching? 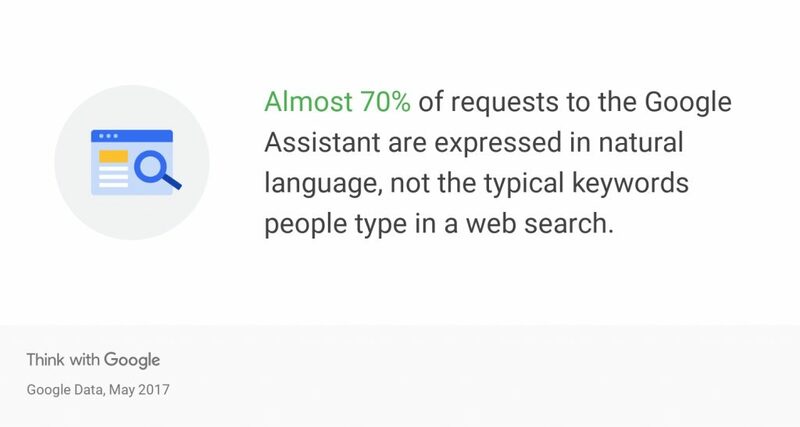 With voice commands you can search on Google, yes; but as it becomes more popular, more apps and brands will want to interact with it. Even though voice search is popular, it still has a long way to go to beat text, which is much simpler to incorporate to our daily lives right now. 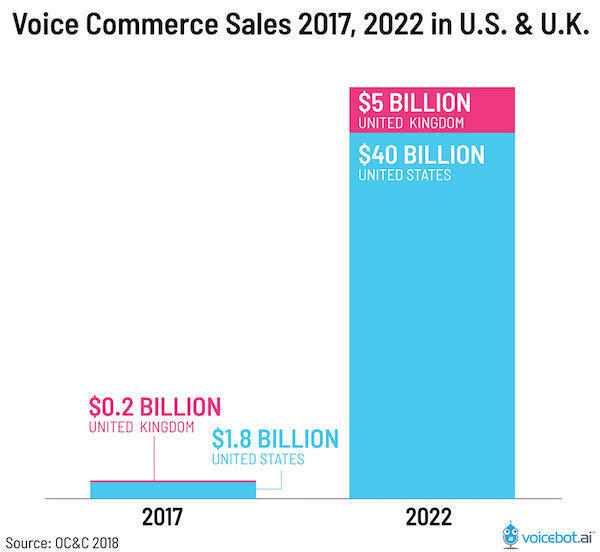 And even so, voice notes have become so popular on WhatsApp that every messaging app is incorporating a similar tool, then maybe this whole voice business is way deeper in our lives that we thought. In the end, trying to look ahead is just an exercise to try and plan for our future marketing endeavours.